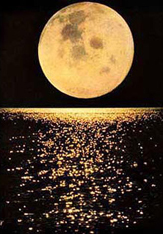 There will be a beautiful Full Moon out the night of Valentine’s Day this year. So take your Valentine outside that moonlit night and wish upon your star! And many a face is upward turned to gaze at the moon’s bright eye. There’s many a hand will toil to-night by shining land and sea. O moonlight, bear my message of love to the heart that beats for me. While you’re looking at the Moon, look for the brightest ‘star’ you’ll see in the eastern sky after sunset. That’s the planet Jupiter, which is in the Name A Star Live constellation Gemini this month. Facing southeast on February mornings you can see the planets Venus and Saturn. 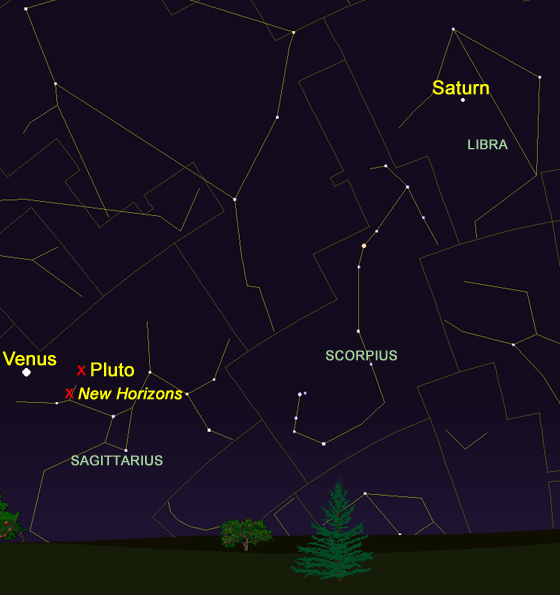 The planet Pluto and NASA’s New Horizons spacecraft are in the same area of the night sky as Venus is now, but won’t be visible to the naked eye. If you’re an early bird, go outside shortly before sunrise and face southeast. The bright ‘star’ you’ll see — the “morning star” — is the planet Venus, which is in the Name A Star Live constellation Sagittarius this month. Although you won’t be able to see it with your naked eye, the planet Pluto also lies in Sagittarius. NASA’s New Horizons spacecraft is there too. The spacecraft carries a portion of the cremated remains of the famous astronomer Clyde Tombaugh, who discovered Pluto in 1930. Your star name will be on another NASA deep space mission — called “Sunjammer.” On board will be the cremated remains of everyday people. That’s being arranged by our sister company, “Celestis.” Click here for information about your star name on Sunjammer, and here for information about Celestis and Sunjammer.